I wonder how many people Googled "Dirty Girl" and instead found a 30 something, stay at home mom. :) Welcome! To elaborate on my weekend. First the pig. My husband and a friend of his bought a pig. Living pig that is. The pig lived a happy life in a farm south of here. Well, Ms. Piggy's time came to an end on Thursday and she now lives in our freezer. At first I felt really, REALLY bad about it. THEN I realized I eat meat, and I'd much rather the meat I eat come from an animal that had a really good life and a humane end. I don't know if that makes much sense. 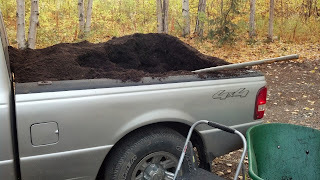 Saturday I took my husband's truck and went downtown to pick up a load of dirt to fill my garden boxes. I figured that it would take me MAYBE 3 hours total to pick up the dirt, fill the boxes and then hang out with The Bug and hubby. 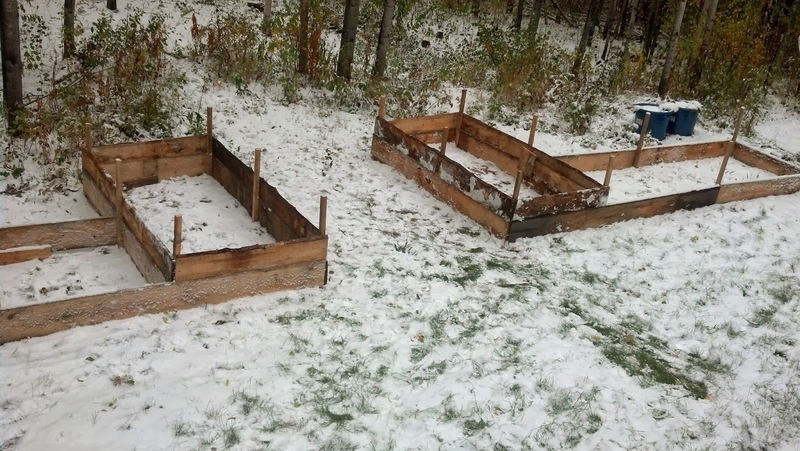 So how do you build a garden bed you ask? SUPER EASY! 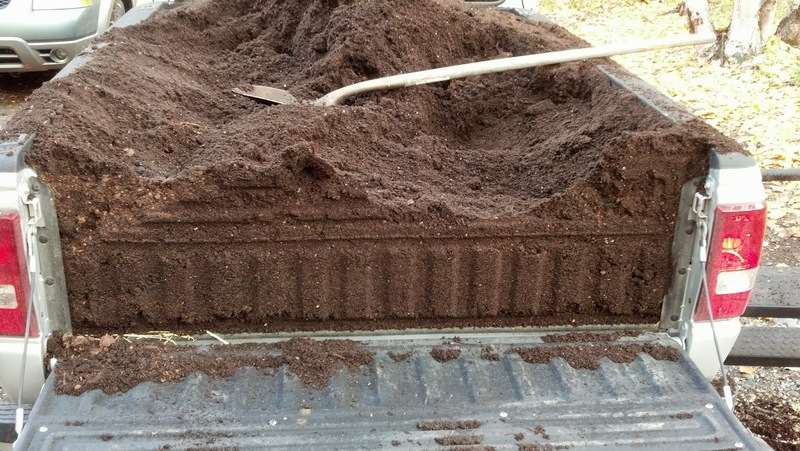 It ended up costing me $120 in dirt (yes, sigh...), $36 in straw, and the rest was free and found materials. A friend of my hubby gave me the wood from his property. It has such awesome charm to it. 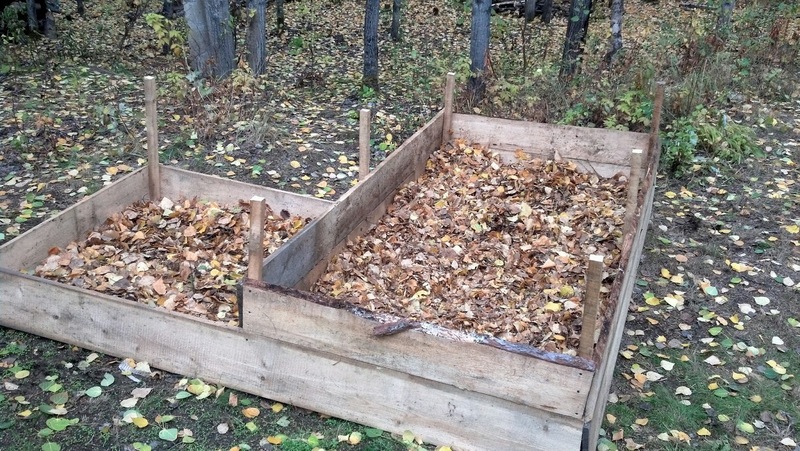 If garden beds can have charm. He milled the wood himself, so the edges still have the bark. I love the beds. I took 3 foot stakes and cut the end so they would come to a point. I used the back of the ax and drove them into the ground. After I did one, I put the two boards onto it,and made sure it was a 90 degree angle. Then I went and pounded the next stake in and secured the boards. I repeated this process a bazillion times. After building the beds, I put cardboard that my husband got from the recycling box at the transfer station on the bottoms. This will kill all the grass and keep it from encroaching on my gardens. 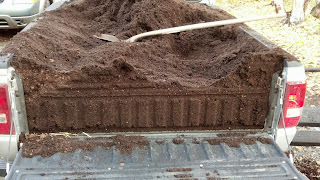 After the cardboard, I put down 1/3 of the container of leaves (which worked out well because we have 83,930,024 <estimate> in our yard), on top of that 1/3 straw, and then the rest with soil which is a mix with peat and other great soil things. Overall, after I got the feeling back in my hands, I was really pleased with myself. 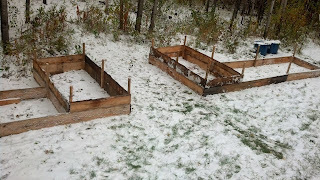 I even threw together a garden for our tenant after I finished up ours to give him a space to grow some veggies in the spring. I'm glad my garden is ready to go. 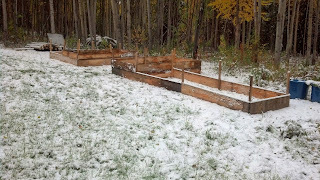 I still need to get my moose fence in, which is suppose to be 10 feet tall apparently. Seriously, apparently moose can jump! 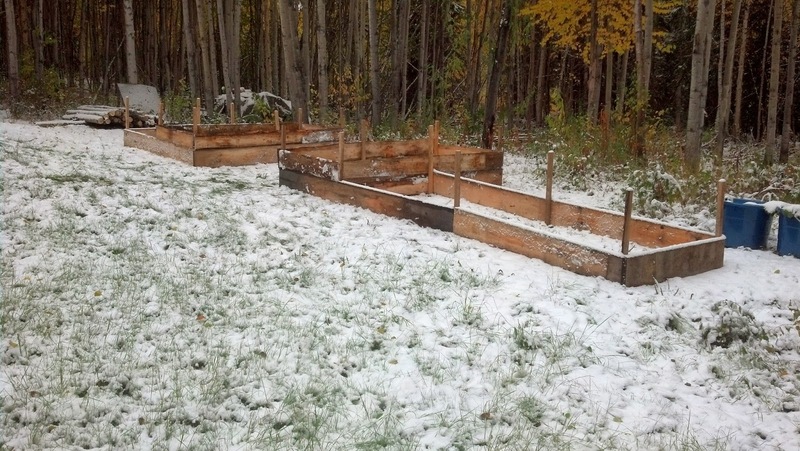 I will get that together and am using Aspen trees that were cut down on our property. I went to the Transfer station (instead of garbage service, you drop your garbage at the transfer station.) There is a space to put stuff that is still good, but you don't want anymore. I got some awesome wooden planters (aka, for herbs in the spring) and a ton of plastic containers to start my plants indoors. My only problem is I WANT TO GROW ALL THE THINGS! I can't. At least I have a few months to figure it out. Bug tonight. We went to pick cranberries by our house. He was supervising. I KNOW you're jealous of his amazing outfit. 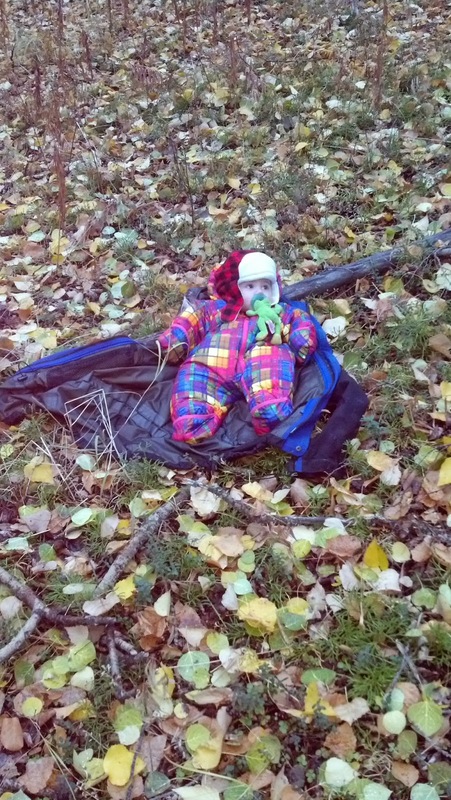 The snowsuit was on clearance (wonder why) at the local outdoor store. SURE it's pink, but real men wear pink. PLUS, it was 28$ vs. 90$ for this years model. It's down too. I'm so glad that you told me about your blog! I am getting such an good lesson about life in Alaska....I know all about deer proofing the garden, but never thought that I'd be reading about moose proofing! 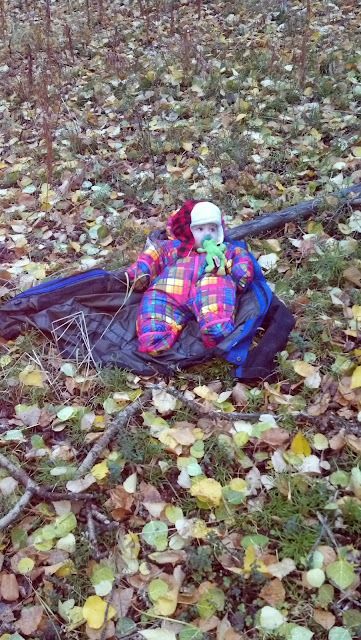 I think the picture of your little Bug is adorable....how does his daddy feel about a pink snowsuit? Haha. I kind of want that suit. Too fun!